DO YOU KNOW HOW MANY LIBRARIES ARE ON CAMPUS? 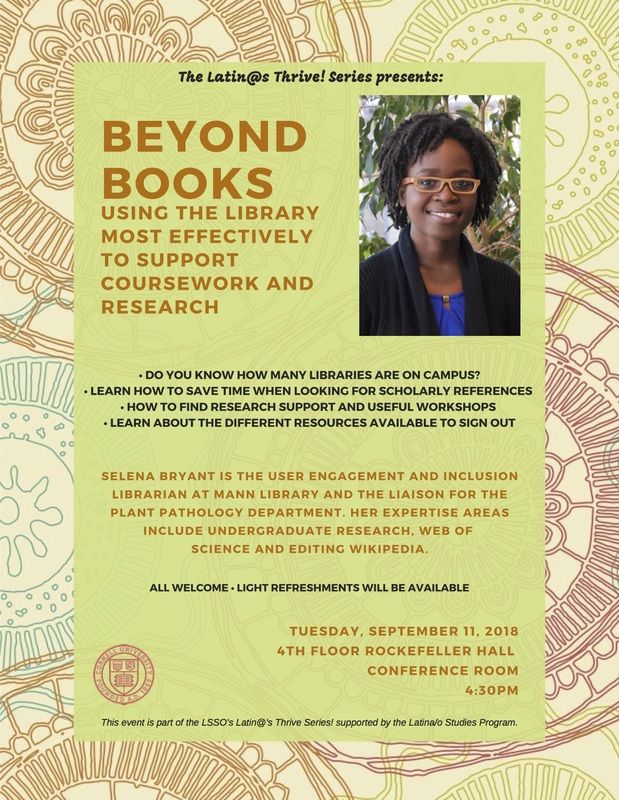 Join Selena Bryant, User Engagement and Inclusion Librarian and . . .
Selena Bryant is the User Engagement and Inclusion Librarian at Mann Library. She is also the liaison for the plant pathology department. Her expertise areas include undergraduate research, web of science and editing Wikipedia. This event is part of the LSSO's Latin@'s Thrive Series! supported by the Latina/o Studies Program.